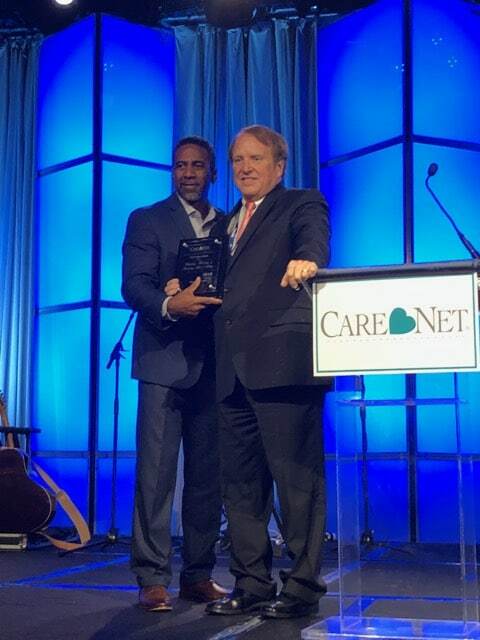 September 5, 2018—ATLANTA, Ga.—NIFLA was recognized today at the annual Care Net conference, the nation’s largest yearly gathering of pregnancy center and church leaders. Produced in collaboration with NIFLA, Care Net, Heartbeat International and other pro-life pregnancy center organizations, the third edition of this pro-life resource details the impact of pregnancy centers in their communities and the nation as a whole. In addition to a summary of service over the past 50 years, the report also highlights stories of the many lives changed and saved by pro-life pregnancy centers. Attendees of the Care Net 2018 Conference also have the opportunity to participate in one of three workshops presented by NIFLA’s leadership team. NIFLA President Thomas Glessner, J.D. and NIFLA VP Anne O’Connor, J.D. will be teaching a session on Defending and Protecting Pregnancy Centers at 4 p.m. today. NIFLA VP of Medical Services, Audrey Harper Stout, R.N., R.D.M.S. is teaching a workshop on Advanced Nursing Practice: Unusual and Abnormal Ultrasounds at 1:30 p.m. this Friday, September 7. NIFLA is a national nonprofit organization providing legal counsel, education, and training for pro-life pregnancy centers and medical clinics. Representing a network of more than 1,450 pregnancy centers across the United States, NIFLA has recently challenged laws in California, Illinois and Hawaii that target its members. Arguments for NIFLA’s Supreme Court case NIFLA v. Becerra were heard on March 20 and a decision in favor of pro-life pregnancy centers was released on June 26 of this year.